Helming Eu Yan Sang International Ltd (EYSI) is a Board of Directors comprising five established professionals who will steer the group with a steady hand, whatever weather condition the Group may face, and a management team that continues to pave the way forward and inspire the Group to greater heights. Richard Eu was appointed to the board as Chairman of the EYSI board on 1st of October 2017. As the steward of the Group, Richard leads the board in providing governance oversight, deliberating the Group’s strategic choices and providing independent counsel and advice to the Group CEO. Richard Eu was named the Ernst & Young Entrepreneur of the Year 2011 (Singapore) and represented Singapore at the Ernst & Young World Entrepreneur of The Year 2012 award in Monte Carlo, Monaco. He was also recognised as the CEO of the year by the Singapore Corporate Awards 2010, for SGX-listed companies with a market capitalisation of under S$300 million. In 2016, he was lauded as the Brand Leader of the Year by InfluentialBrands. Richard actively participates in community projects and non-profit organisations. 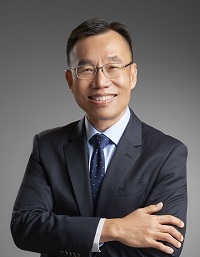 He serves as Chairman of the National Museum of Singapore and Singapore University of Social Sciences, and is on the board of Thye Hua Kwan Moral Charities Limited. He also sits on the boards of other companies. Aaron Boey was appointed as Group CEO and Executive Director of EYSI on 1 October 2017. As Group CEO, Aaron leads all strategic and operational aspects of the business, as well as all investments, joint ventures and partnerships. He reports to the Board and works closely with the Board to adopt and execute value-creating strategic choices to ensure the long-term sustainable growth and success of the Group. Prior to this appointment, Aaron was the Group Chief Operating Officer when he joined Eu Yan Sang in March 2017. Immediately prior to that, he was involved with Private Equity, as Senior Advisor to Tower Capital Asia. Aaron brings deep expertise and experience in brand management, marketing and retail. 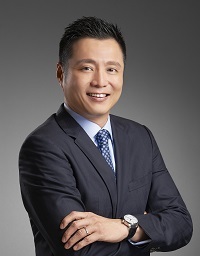 Prior to joining Eu Yan Sang, he held senior-level marketing and general management roles in large Asian and foreign multinational companies such as Levi Strauss & Co, Philips Consumer Electronics and Asia Pacific Breweries. He last held the role of Executive Vice President and President, Asia-Pacific for Levi Strauss & Co., managing all the company’s brands in the region. Beyond executive appointments, Aaron is active in the public sector. He is a member of the board of the Singapore Tourism Board, as well as the Chairman of its Finance and Investment Committee. He also served on the Singapore Economic Strategies Committee in 2009/2010. From 2010 to 2016, he was a member of the National Productivity and Continuing Education Council. He was also on the International Advisory Panel of the Institute for Asian Consumer Insight from 2010-2015. Most recently, he was appointed to the Advisory Board of the Singapore Management University (SMU) Academy. Aaron graduated with a Bachelor of Science (Hons) degree in Biochemistry and Molecular Biology from Universiti Sains Malaysia. Phit Lian has over 38 years of leadership experience in a wide spectrum of industries including precision engineering and manufacturing, minting and physical currency circulation management, retail and lifestyle, aviation and township development. 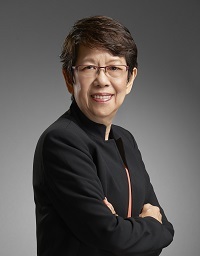 The leadership positions and directorships she held include CEO and board member of Singbridge Corporate Pte Ltd, Director of Singbridge Holdings Pte Ltd, CEO and board member of Jetstar Asia Airways Pte Ltd and Valuair Ltd, President and CEO of Singapore Mint and Singapore Precision Industries Pte Ltd, Group General Manager of Safe Enterprises Group, Executive Director of Safe and Manfield Travel Group, Executive Director of SemHotel Pte Ltd, Chairman of Tianjin Everbest Gear Co., board member of Avis Car Rental. 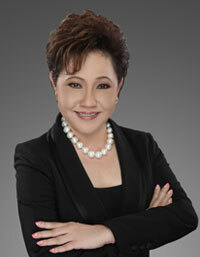 Presently, Phit Lian serves as Advisor to Temasek International and board member of Singapore Polytechnic International and Jilin Food Zone Pte Ltd.
Aside from the key appointments in the commercial field, Phit Lian served on Board of Governor of Singapore Polytechnic and as Member of Singapore Coin and Banknote Design Committee. She holds a Bachelor of Science (Hon) degree in Production Engineering and Manufacturing Technology and Master in Business Administration. She also attended several advanced management programs. Jeffrey Chua was appointed to the Board as a Director on 18 October 2016. Jeffrey also serves concurrently as Managing Director of South East Asia investments, Japan & Korea investments as well as Structuring & Execution at Temasek International Pte Ltd. In addition, he is an independent commissioner on the board of commissioners of PT Matahari Putra Prima Tbk in Indonesia. 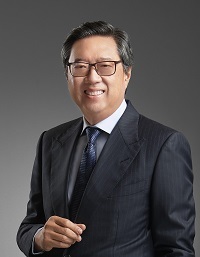 Prior to these appointments, Jeffrey was Managing Director, Investments at Temasek, and led its Financial Institutions investments group from 2008 to 2012. From 1997 to 2008, he was legal counsel in Temasek. He began his legal career in the private legal practice, after he was called to the Singapore Bar as an Advocate and Solicitor of the Supreme Court of the Republic of Singapore in 1993. 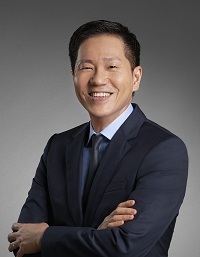 Jeffrey graduated from the National University of Singapore with a Bachelor of Laws (Honours) degree and holds a Master of Laws (Banking and International Finance) degree from King's College, University of London. He has also attended the 182nd Advanced Management Programme at Harvard Business School. Danny Koh was appointed to the Board as a Director on 18 October 2016. He is the founder and Chief Executive Officer of Tower Capital Asia, a private equity firm. He sits on the board of the Singapore Association for Mental Health, as well as the investment committee of the National Council of Social Services, Singapore. Danny was previously at Actis LLP. from 2012 to 2015, where he was the head of the Singapore private equity team and Head of Origination for South East Asia. He joined 3i Group PLC from 2004 to 2012 and last held the position of Director in the South East Asia team. A certified public accountant, he holds a Bachelor of Accountancy from Nanyang Technological University in Singapore.